Chamorro people are generally open-minded when it comes to non-Chamorros marrying into the family. However, they are not prone to articulating their values, which often leads to confusion among non-Chamorro mates. Even when you ask “Why?” you may be faced with an answer like, “That’s just how we do it here,” or worse — “I don’t know.” The important thing is to keep digging for answers. These seven things you need to know will be a good start for anyone contemplating marriage to a Chamorro person. Chamorro culture is collectivist, as is about 70% of the world, unlike mainland U.S. culture which is individualistic. This vast difference in the involvement of family members in one’s marriage can lead to major misunderstandings and tension. 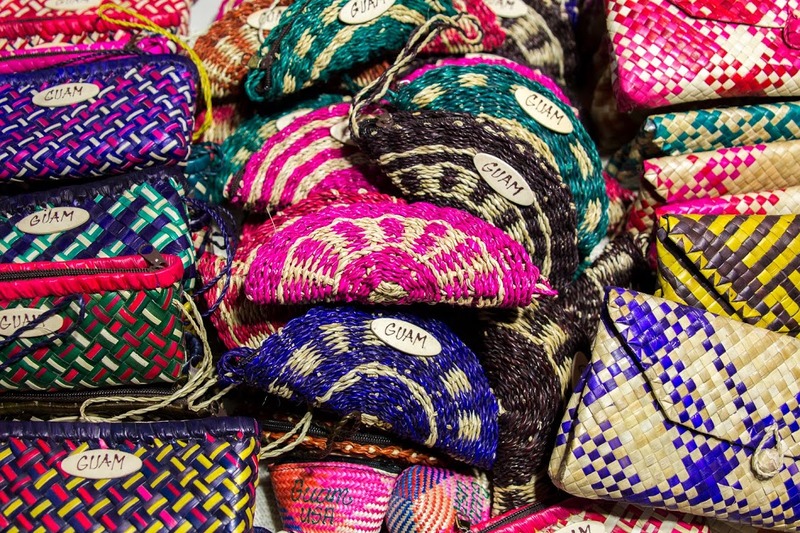 It is perhaps one of the most prominent contrasts between U.S. and Chamorro culture. Family is first in almost all situations — immediate family, then extended family, including relatives so distant they are simply termed aunties, uncles, or cousins. The needs of the individual will almost never supersede those of the group. It’s not good form to promote oneself or stand out too much. A matriarch usually presides over the family, having authority over younger women. 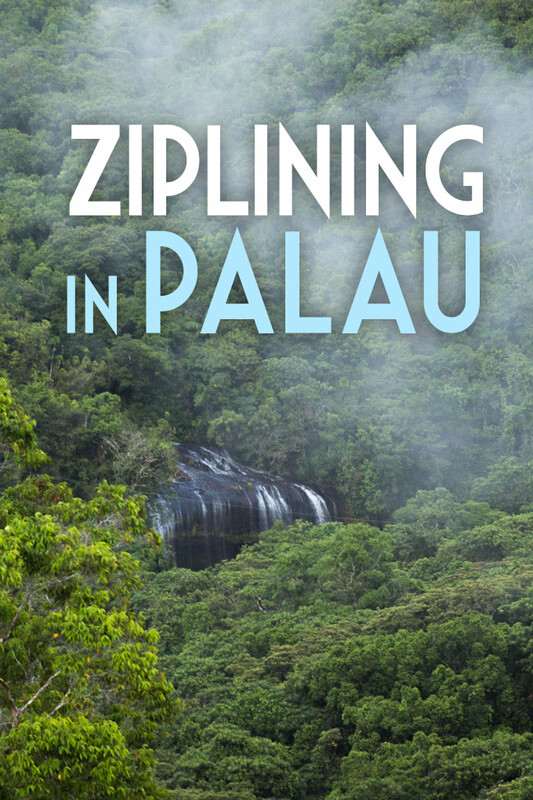 (In some Micronesian islands this authority is almost total — an older woman can request the child of a younger woman and it must be given to her.) This can be difficult for a non-Chamorro woman who marries into the culture, especially if she and her husband live with family. 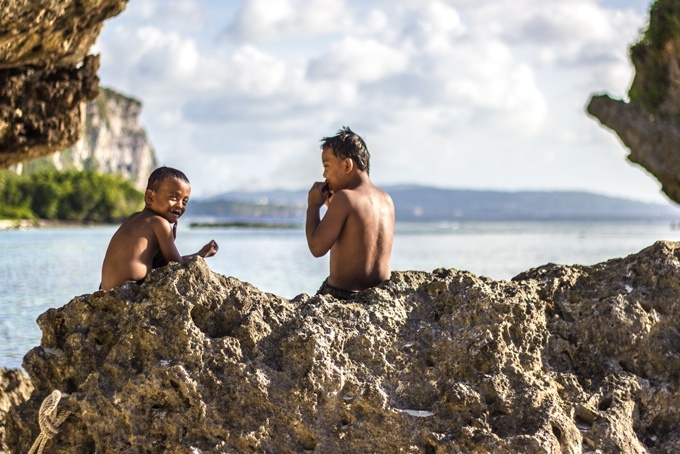 Chamorro people are not particularly materialistic and in general, they are generous and hospitable. That being said, the Chamorro view of money is different than the mainland view. Because of strong family ties, there isn’t much of a separation of finances among family members — even adult children who have left their parents’ home. If a family member is sick or dies, even third and fourth cousins are expected to contribute. In the U.S., the philosophy of “what’s yours is mine” doesn’t fly, so it can be shocking for non-Chamorro mates to find that large chunks of the family income can unexpectedly be designated for needy family members. It is not proper to turn down a family member when they ask for money, even among families of limited means. Favors and reciprocity are as good as currency in some settings. Pare’ is a local term for a person that is connected in such a way that they deserve preferential treatment. It also refers to a certain value that is placed on a favor so that it is required to be paid back. Learn more about chenchule on Guampedia. Funerals are a huge deal on Guam and throughout Micronesia. Among Catholics, and even not-so-religious people, there is an eight-day rosary during which family members gather. The body remains in the house while the family prays over it. 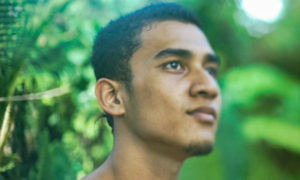 The rosary isn’t optional; it is an established and obligatory part of Chamorro culture. Funerals on Guam are known to be far more expensive than even weddings, with money going to the priest, the church, and to feed family and friends for eight days. Chamorros also commemorate the loved one on the anniversary of their death and that’s called a rosary as well. Family members are expected to take time off work and put off all other obligations during the rosary, even if it’s a distant relative who has died. Learn more about Chamorro death customs on Guampedia. 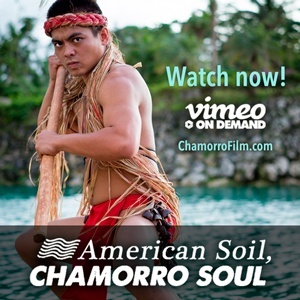 Learn more about Chamorro culture and values in the documentary film, “American Soil, Chamorro Soul,” available now. Land on Guam is revered with a sort of mysticism and deep respect that is entirely lacking in the mainland United States. 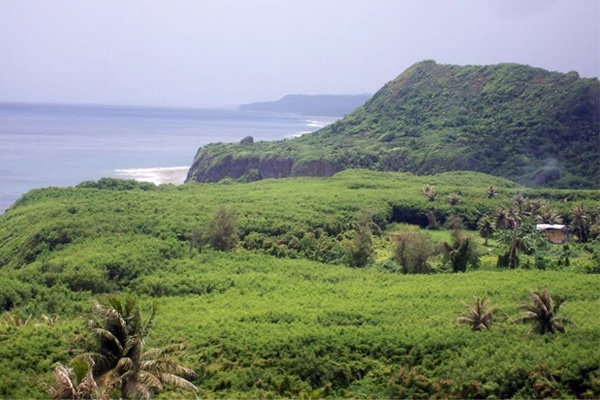 Family-owned land on Guam is extremely common, with extended families staying together in pockets around the island. Multi-family homes are common, as are multi-home lots. In addition, land ownership is a huge financial advantage, as property tax is relatively low. According to the Department of Revenue & Taxation, Guam real property taxes are 70% of the property’s appraised value. The amount due is 1/2% percent of that for buildings, or 1/8% percent of that for land. Long fought-for and often-stolen land can be in a continued state of reacquisition by Chamorros. Long-standing legal battles are on-going in Guam courts. Government leases of land that belongs to the increasing numbers of heirs of long-dead Chamorros may now be worth millions. Family land may be untouchable because of long-term leases, some of which may be 99 years long. One highly sought after corner of prime real estate was leased and then re-leased making it nearly impossible for the heirs of the original owner to have any rights in connection with their own property. 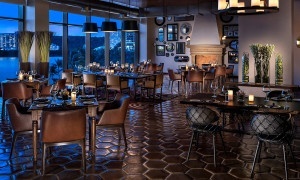 Second-generation owners may have to accept just a few dollars from original lease agreements that did not account for inflation or increase in value, while the current tenant is making bundles on the hotel that was erected on the lot. In addition, land acquisitioned by the U.S. military (some Chamorros regard this as stealing) is particularly contentious. This subject becomes even more complicated with families who have active duty servicemen and women. 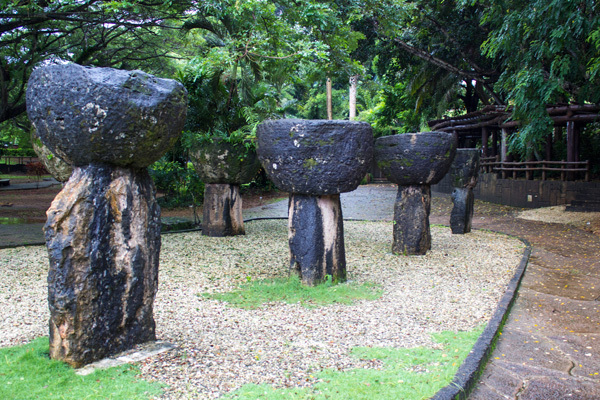 Guam is 85% Roman Catholic, but like most indigenous cultures, Chamorros have their own spin on it. Yes, the Pope is revered. Yes, saints are honored. Yes, mass is observed. However, Chamorros have strong cultural values that stuck even through colonization by the Spanish, Japanese, and American forces. Their strong reverence for ancestors plays a huge part in this unique brand of Catholicism. The Taotao Mona are said to be ancient spirits that are very much engaged with the living. 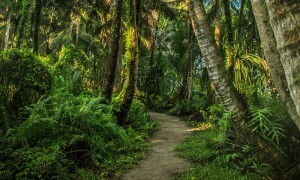 Strongly entrenched beliefs about the Taotao Mona dominate everyday life, including a fear of going in the jungle and being pinched by the ancient spirits if one does not ask for permission. Some physical ailments are also credited to the Taotao Mona. Learn more about the Taotao Mona on Guampedia.